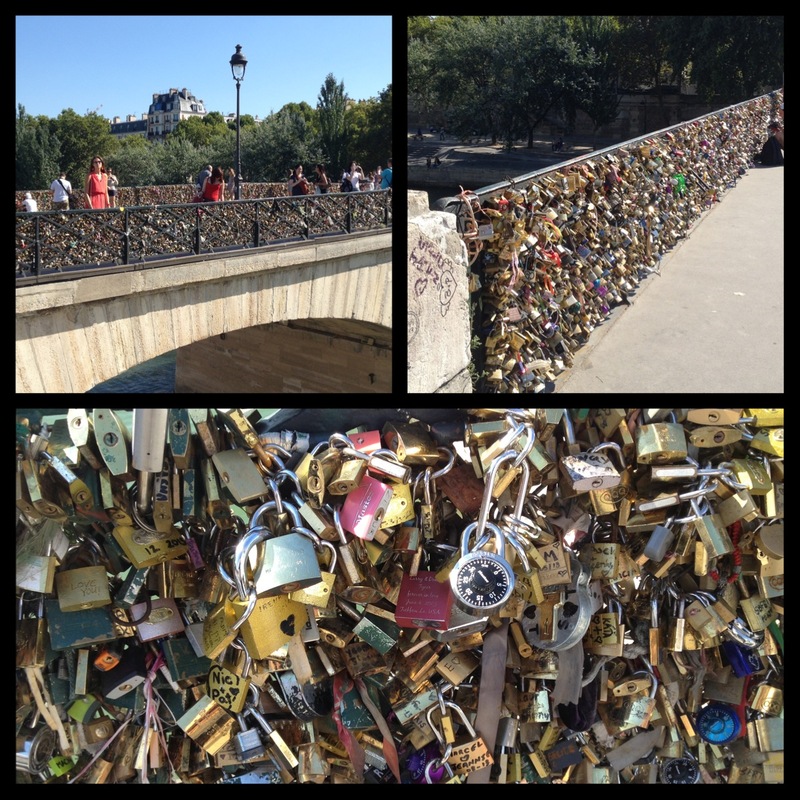 I was totally not in the loop of the Lock Bridge concept in Paris. So here is the gig if you also find yourself not in the know….you bring a lock (with keys) with you and your loved one’s name on it, lock it to the bridge and toss the key into the river. So Romantic and yet So Punk Rock!!!! Buddy surprised me and brought our very own lock to hook up to the bridge. Can you guess which lock is ours? I will give you a hint; the one that is not like the others…the combo lock. Why a combo lock when part of the concept is the key in the river? Buddy knew I would not want to throw a key in the river since it is littering and I would also be concerned that I would hit a fish in the head!! !